The internet has been a principal factor in revolutionizing sales and businesses. During the days before the world wide web, people still used to buy things from locations distant from their locality, but the time taken to get the product physically in the hands of the buyer would extend into months, not to mention the chance of getting it lost in the mail, or equally worse, receiving it in damaged condition. After the first online shopping store by either Netmarket or Internet shopping network in 1994, the virtual world saw a gradual increase in the number of companies displaying their wares at their respective online shops. With the improvement of technologies, life became fast-paced. Due to the increasing work pressure and associated duties, the time became scarce for new-age citizens. The practice of shopping online became a necessity, and with time, the whole thing became a matter of few touches. The phones became smarter, and the companies with something to sell understood the importance and impact and started to develop their own Mobile-Friendly Website. According to the recent stats from Statista, the number of mobile phone users shall reach to 5.07 billion to the end of 2019. Therefore, the possession of a mobile-friendly website is now a requirement, rather than an addition. Established businesses have already set their foot in the business sector and may have a website already, so the question may arise, why need a mobile-friendly website? The answer is simply the vast numbers of the phone in use nowadays. The use of a laptop or a computer requires a power outlet, a modem, a network, and more to load a website; whereas a smartphone is equipped with all of these and can fit into the pocket of the user. Accessibility of the websites anywhere and the functional comfort makes this mobile-friendly website the first choice nowadays. However, these are not the only reasons a company should go for a total shift to the mobile-friendly website scene. There are already end number of small companies that are utilizing the Leading Digital Marketing Agency Service and catering to customers globally. Everyone has a mobile phone nowadays. Therefore, it stands to reason that a website designed for mobile phones has a more vast reach than a general webpage. People nowadays use their mobile phone for everything, from buying a book to getting information about a subject, and therefore it is worthwhile to get your business a mobile-applicable website. The way a website is perceived by a user is dependent upon the viewing medium. Here, when a website is viewed in a tablet or mobile screen, it changes its configuration from an evenly designed way to a vertical direction. This technique of configuration is known as Responsive Website Design (RWD), where the website fits according to the screen size of the gadget by shrinking pictures, displays, and contents thus providing the user a different experience without tedious browsing. It is true that designing a website keeping the platforms of the mobile phone in mind is actually a lot more cost-effective. Earlier, the companies had to design a separate website for the two different platforms. After the advent of Responsive web design services, the job can be done by a single type of coding. It goes without saying that the ultimate goal is to augment the bottom line and make the graph of profit go upwards. 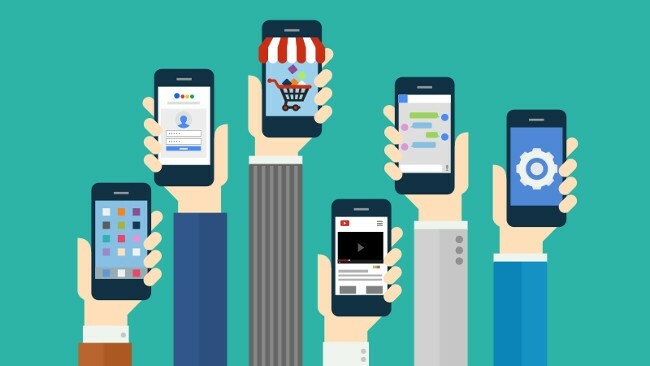 A mobile-friendly website does the job of brand promotion more effectively than any other online path, and therefore going to a mobile platform is the intelligent thing to do. A report stated recently that within two years, the number of online orders from districts doubled in number. Therefore, not doing something would be letting slip the chance of profit. Availability of high-speed internet had habituated everyone to expect the content of a website to load quickly. The websites designed for laptops and PCs are evenly designed and therefore take a longer time to load. The users of today don’t wait that long and opt for a more user-friendly webpage. Customer analytics refers to forthcoming preparation, alteration, and executions for any undertaking. A mobile-responsive site makes the job of performing analytics much and much easier for the companies. A mobile responsive web page alters according to the size of the phone or tablet screen with all the contents and graphics. So, the user experience is much efficient and the information is easily available. With the new HTML5 enabled smartphones, the viewer can easily browse content even while in offline mode. Therefore, the websites have more chances for user access. A responsive page is incorporates everything in one design. The testing, bug fixing and optimizing become less troublesome creating more time to focus on matters and promotion. The mobile-responsive website is ranked higher by search engines than a general website. As the users normally check out the first few sites of a search, having a mobile-friendly site will ultimately increase traffic. Use of mobile phones to check out website has now become standard practice and therefore exploiting this trend would be an intelligent decision. With a responsive and mobile-friendly site, you will have the opportunity to tap into a greater channel of potential consumers. The reasons above have made mobile-friendly websites more popular amongst users. For a startup or an established business, developing a mobile-friendly website is now a requirement and should be addressed without delay.